GISS LOTI went from 0.55°C in May to 0.67°C in June. Since TempLS rose by only a small amount, this is an unusually large discrepancy. Satellite lower troposphere temperatures also rose by even greater amounts. 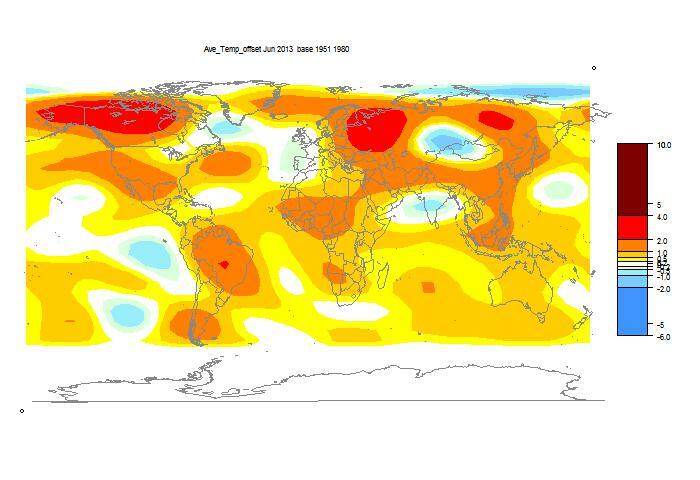 The TempLS monthly anomaly for June 2013 was 0.498°C, compared with 0.48° in May. Satellite indices rose by about 0.2°C, but from a low base. The pattern is oddly similar to last month, with a cold spot in central Asia and warmth each side, and W Europe and India cold. But the Alaska warmth shows up. In an earlier post I described my dabblings in RSS files trying to get a replacement for Google Reader, now passÃ©. 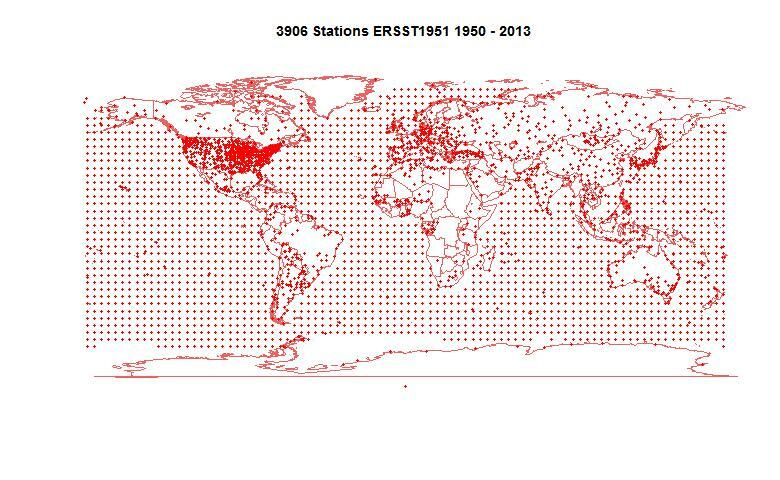 As a by-product, I posted a climate reader. I've improved this, mainly by rationalizing the way it uses the RSS info. It's easier to extend to more complex formats, and more concise, so quicker to download. The new version is below the jump, with instructions following. I'm now inclined to call it an index, because that is what it is good at. You can't read content directly, only by link to the blog. That may change, but the limit is on how much can be downloaded. Mainly, you can order by topic, blog, date or commenter, and you can subset on any of those. I'll make this version a page, which will be the maintained version. Some time soon, I'll have to include a paging version. Update - the paging system is done. Top right there is a month selector, with Add/Set. Select a month, and either add it to the data shown, or replace that data (set). By default, the current month and last full month are shown. It shows all the posts and comments that it is aware of. Updating is hourly. You can click the buttons at the top to reorder. Main posts are indicated by a background color. Some blogs don't easily pass comment information. Planet 3 is itself an aggregator, so I haven't really cracked that. As I mentioned in the previous post, SkS doesn't give comment dates, so I can't tell what is new in each RSS read - I haven't solved that yet.